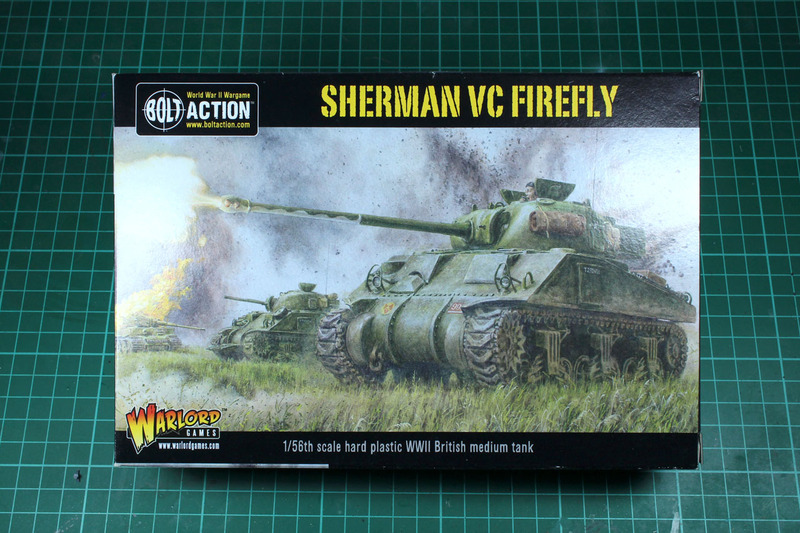 Shortly after the Sherman V Warlord released the more dangerous VC Firefly - time for a follow up review. 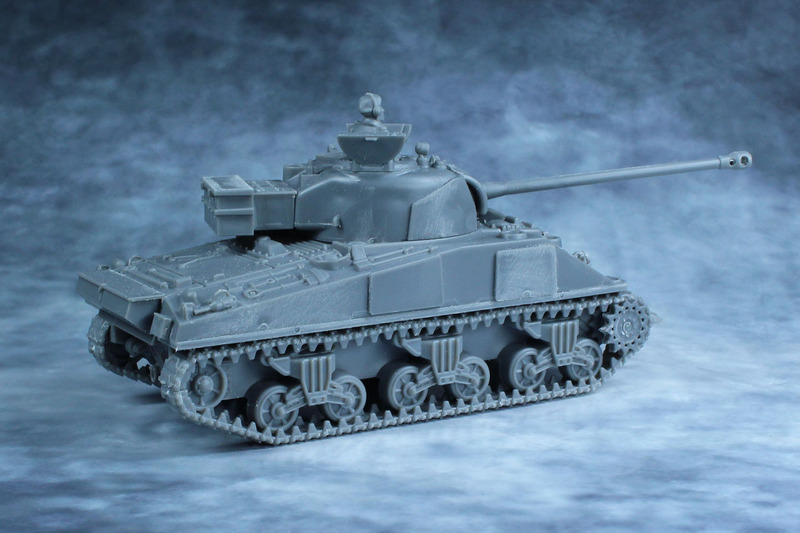 As already mentioned with the Sherman V kit, this is a Warlord Games solo-product, not a cooperation with Italeri. 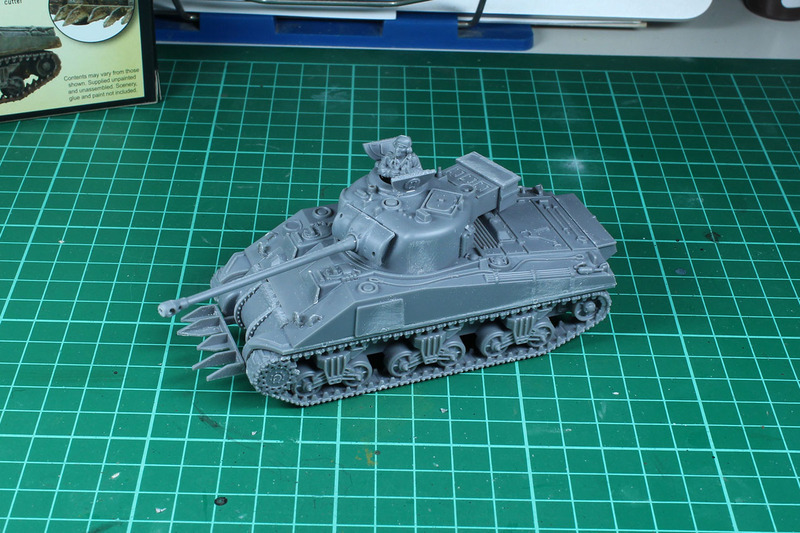 Not a rescaled model kit, but a wargaming kit. 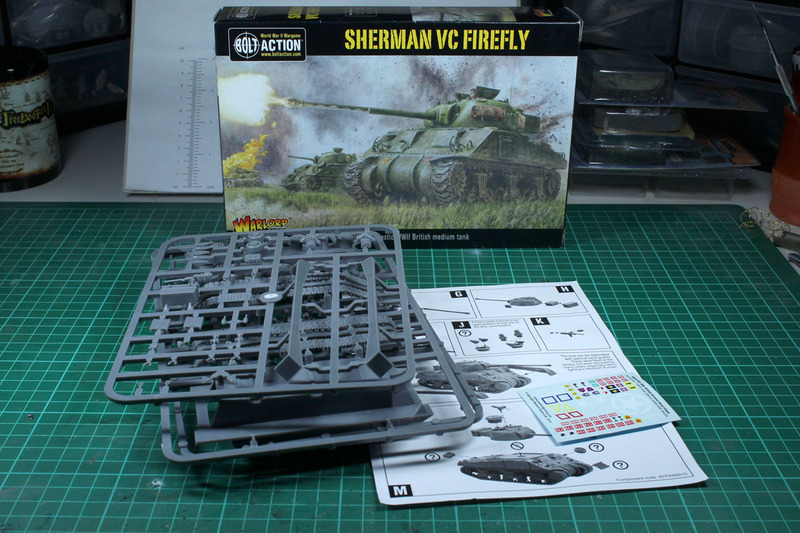 As the VC was build from converted M4A4 / Sherman V, this kit is based upon the regular Sherman V kit but with a replaced third sprue, that covers the QF 17-pounder gun turret and the modified hull without MG. 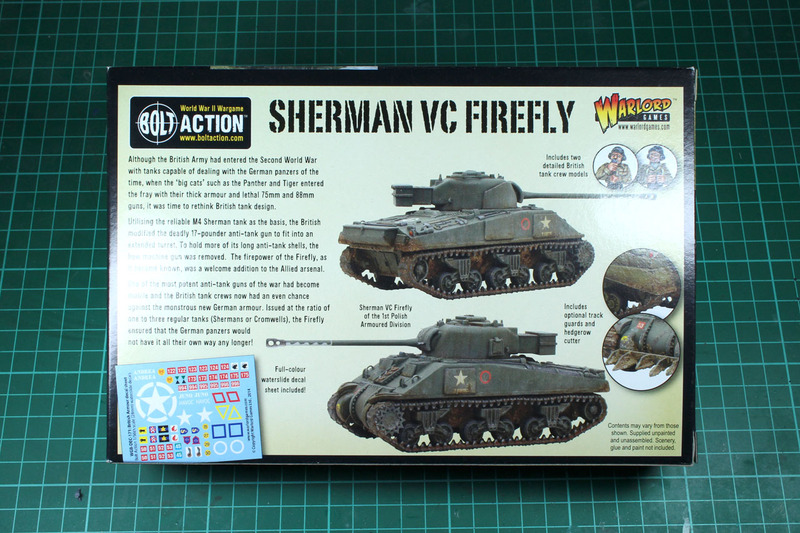 The VC Firefly was an unlicensed conversion of the Sherman V / M4A4, but other Firefly were build on other M4 chassis as well, but most of the 2.100 units were based upon the V/M4A4. The Firefly saw action for the first time at D-Day and was therefore mostly used in Northwestern Europe. After the war countries like Italy, Belgium and the Netherland used Shermans with the 17-pdr gun. The last operations of the firefly are told to be in the 1970s in Libanon. But what's in the box? 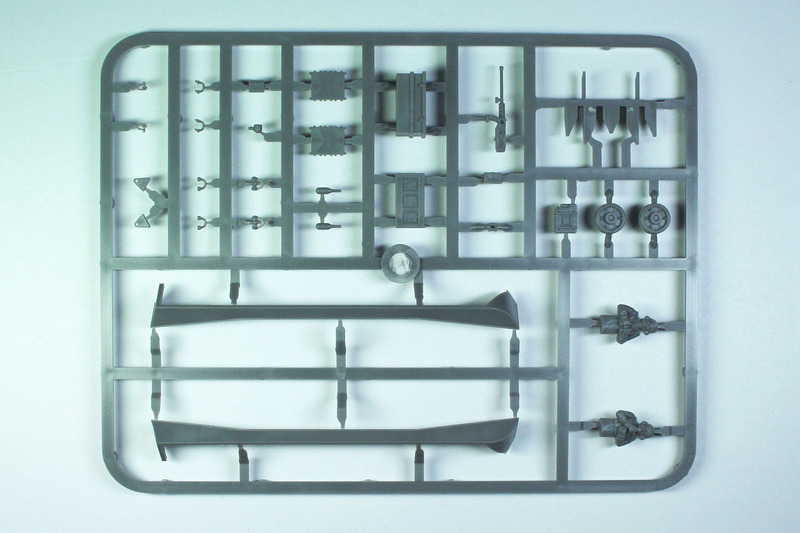 The 1:56 / 28mm scale plastic kit covers 3 hard plastic sprues, an instruction and a small decal sheet. 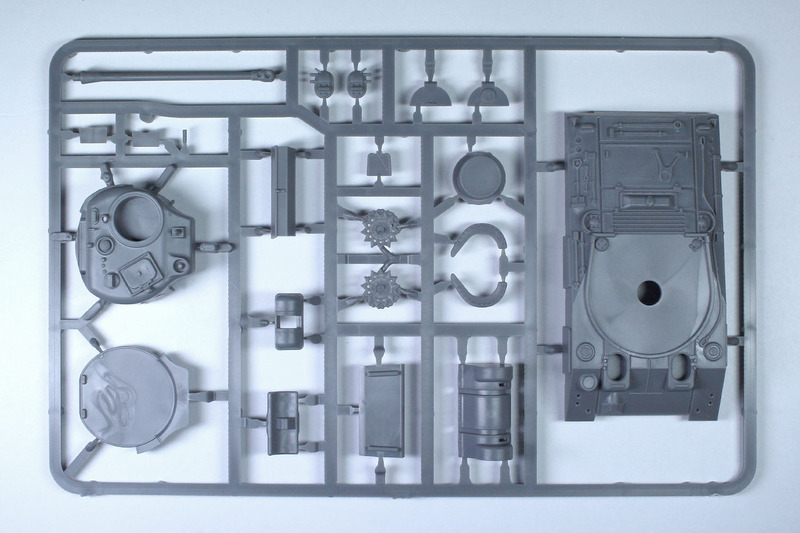 Warlord Games calls out a price of 20 GBP for this kit, the same as the regular Sherman V.
The sprue is cleverly used and shares two frames with the Sherman (as the only difference is the upper hull and turret/weapon). 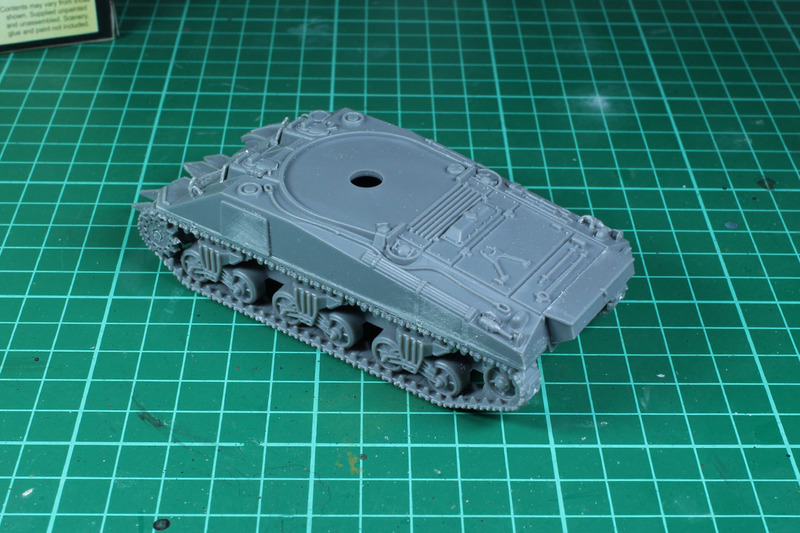 A nice addition is the tank stowage and the two tank members added to the sprue. 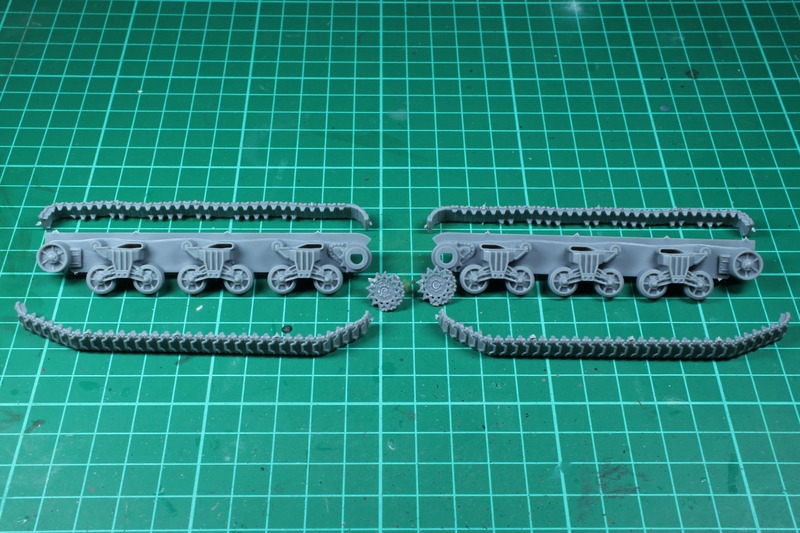 They are kept in the same design as the older metal variants, that were part of some of the resin kits. 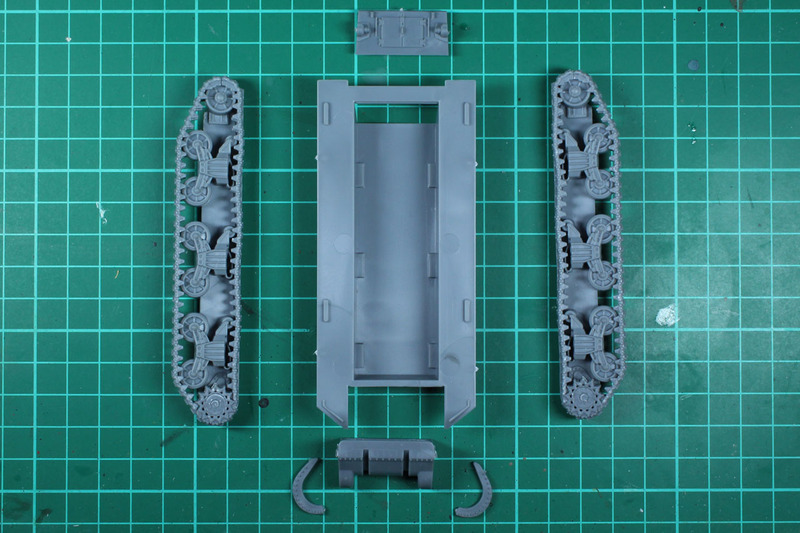 This build begins as usual with the tracks. 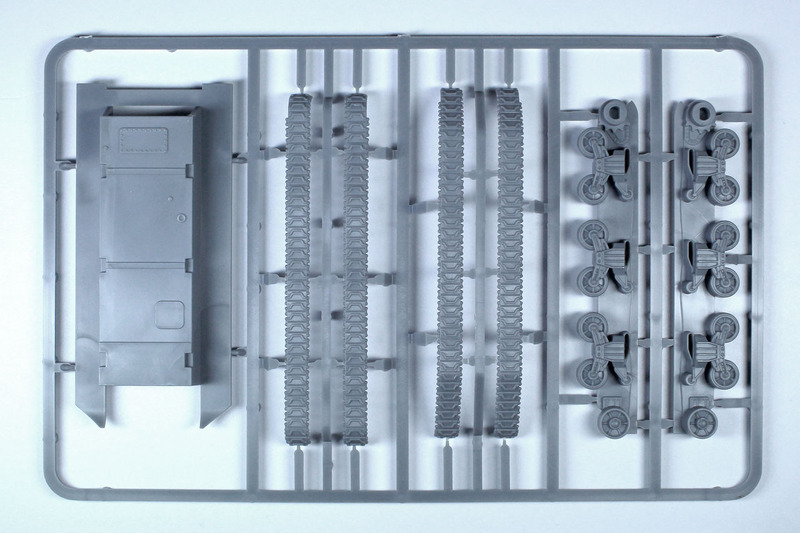 Simple 4 part sections of upper and lower track, the suspension and the sprocket. 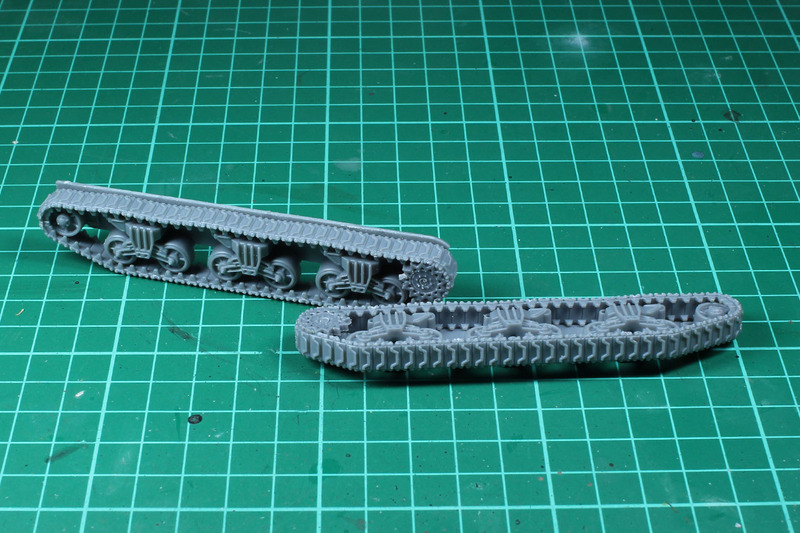 The tracks cover the T54E1 chevron design. 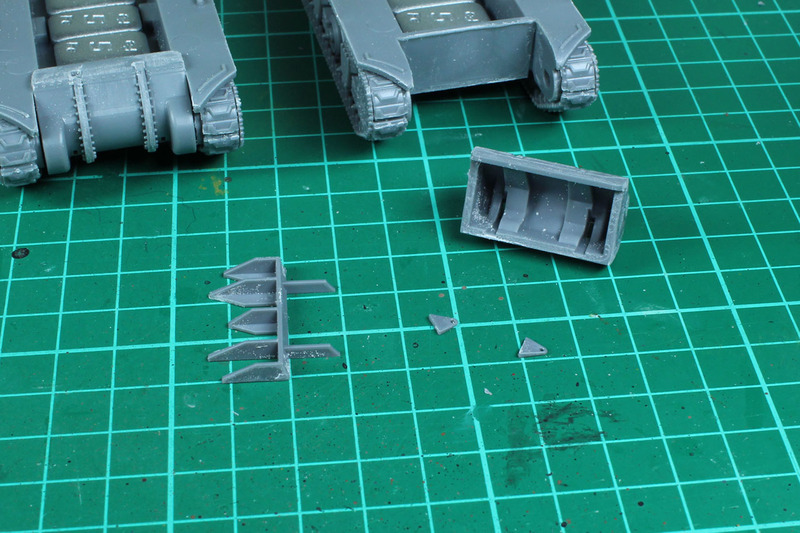 In the following step, where the tracks and lower hull are build, you can decide if you want to use the hedge cutter or towing lugs. Take care to choose before you glue, as the towing lugs are placed from within the differential cover. 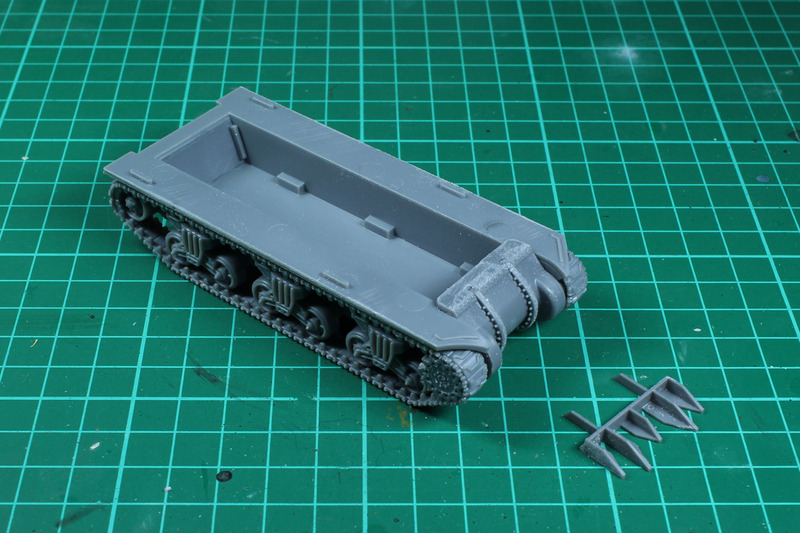 As this will be Firefly used in northern France and other parts of Europe, I went with the hedge cutter and left the optional track guards off. One thing you can't see in the upper step, I added lead weight to the hull. Can only recommend it. In this step, the details are added to the upper hull. 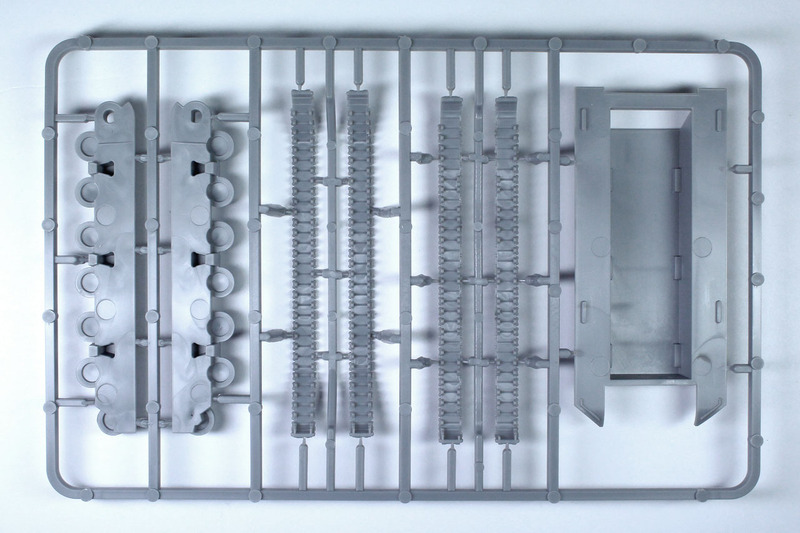 The lukes for driver and crew can be placed open or closed, along with a few small parts. 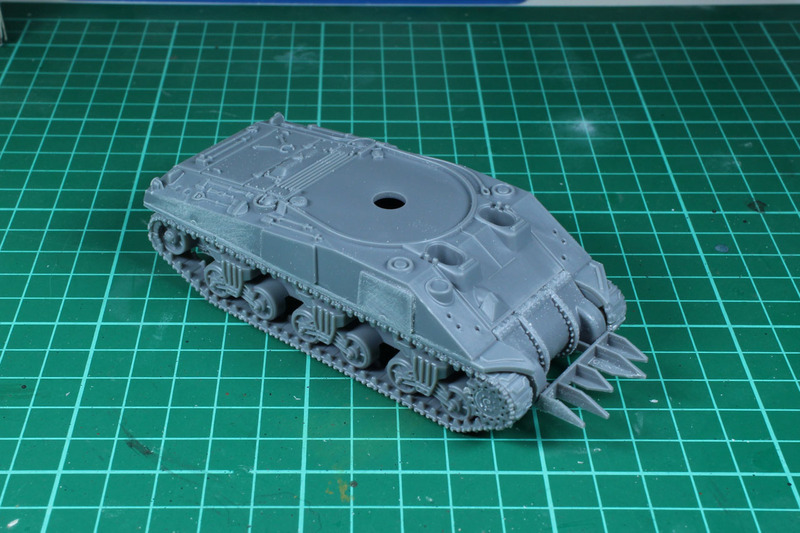 The turret is quite simple, just the 17-pdr gun, that can be elevated in a few degress. Other than that, no other gun options. 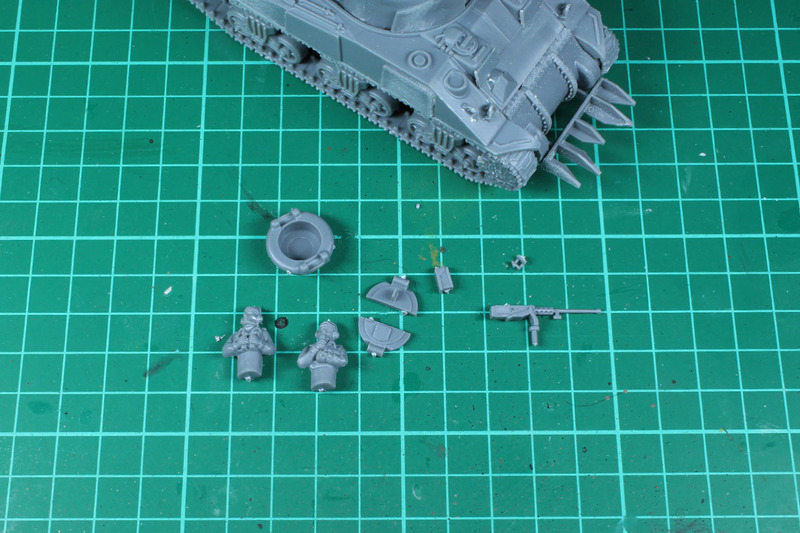 The gun is glued in place and not moveable. 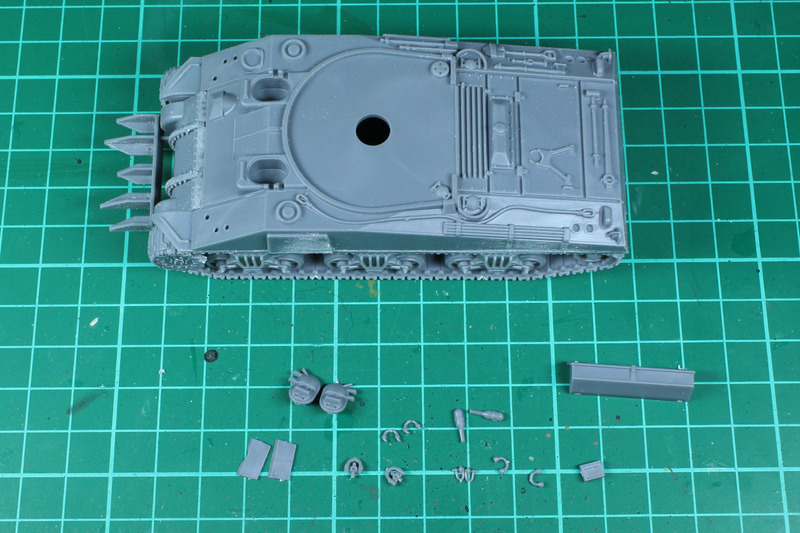 The turret is prolonged to have room for the much longer 17-pdr gun, compared to the regular M4 turret with 75/76mm guns. 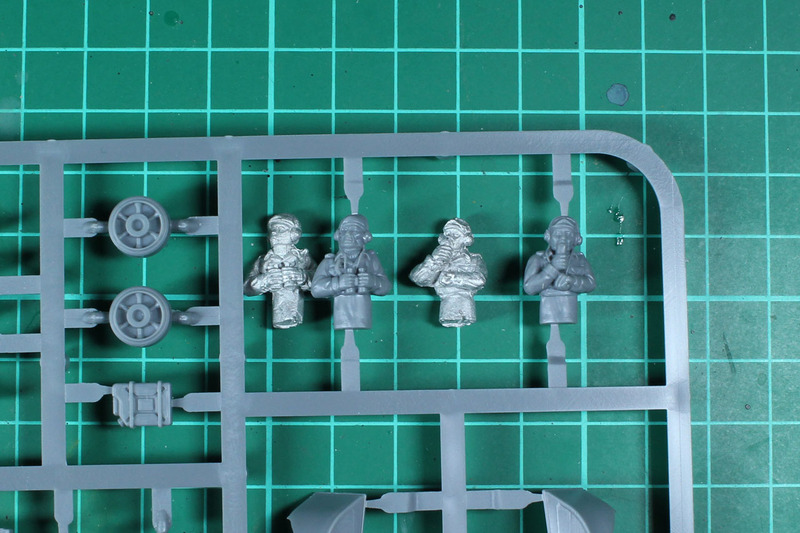 Last step, before adding the stowage, is the optional choice of one of the two commanders. Or you can close the commanders luke if you want to. 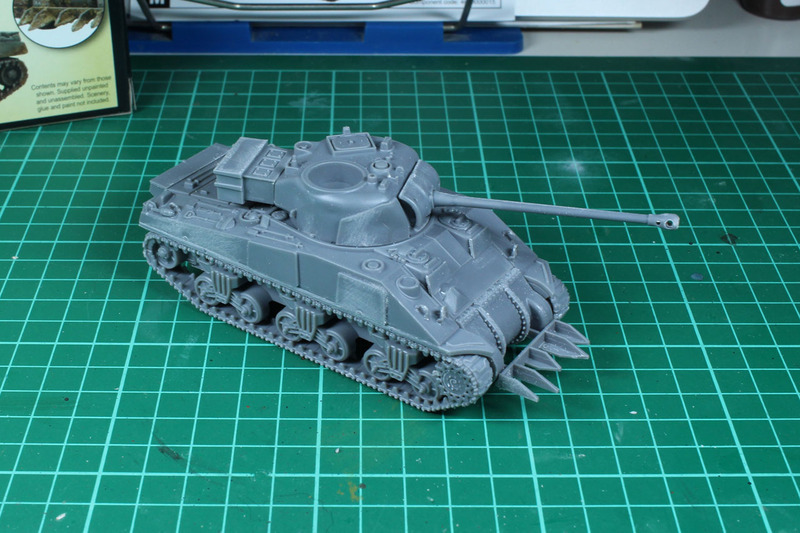 The MG can be used as well, there are even documented cases of twin mgs on the turret. 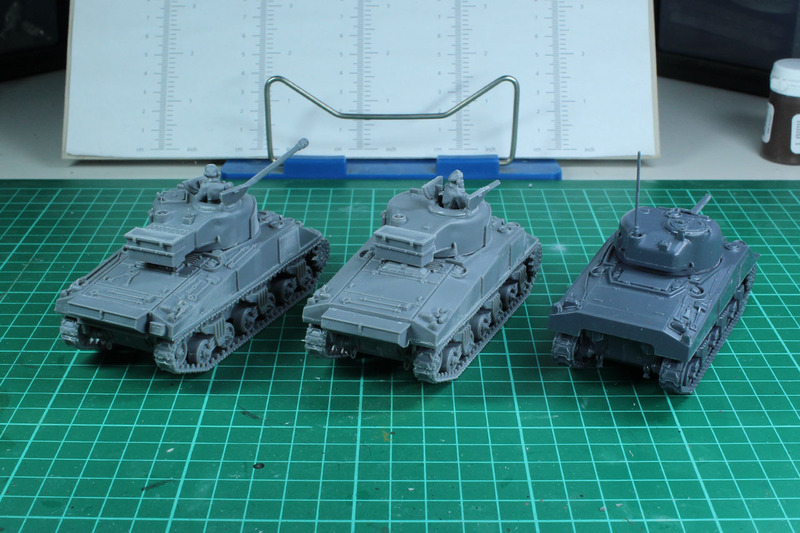 For comparison, here you see the VC in the mid of two regular Sherman V, along with the comparison of all three plastic Shermans by Warlord. 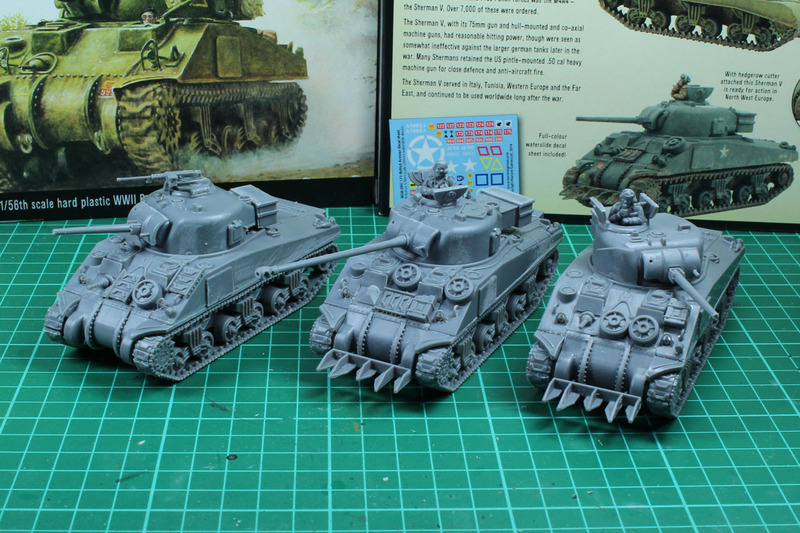 From left to the right, the VC Firefly on the left, the Sherman V in the middle and the M4 Sherman (Italeri) on the right. 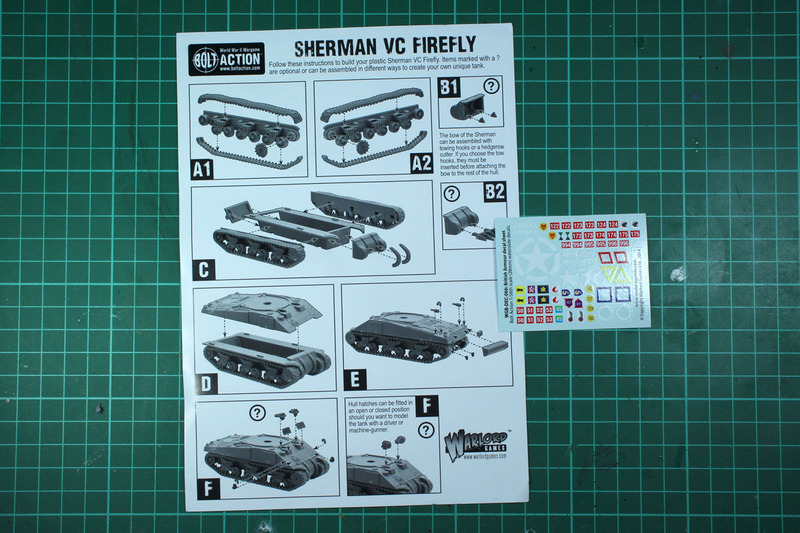 And a short 360° view of the VC Firefly. 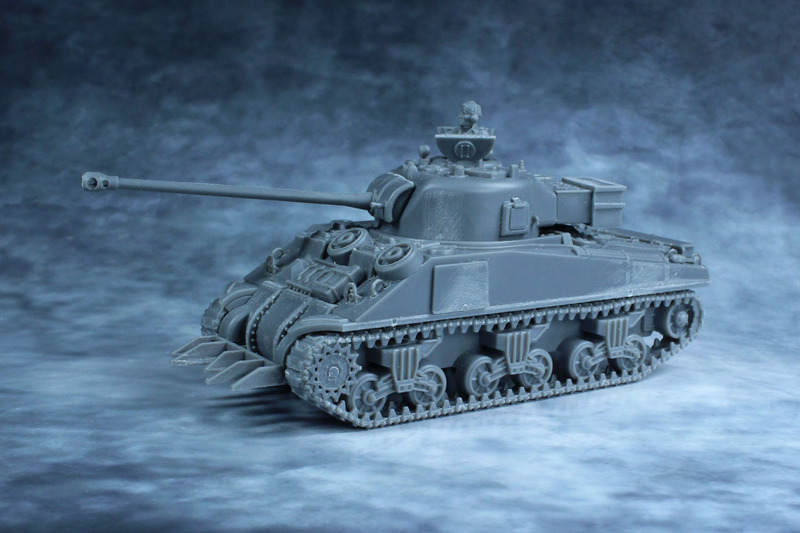 Like the Sherman V, this is a solid kit. With a bit of tinkering you could have put both into a single kit in my opinion. 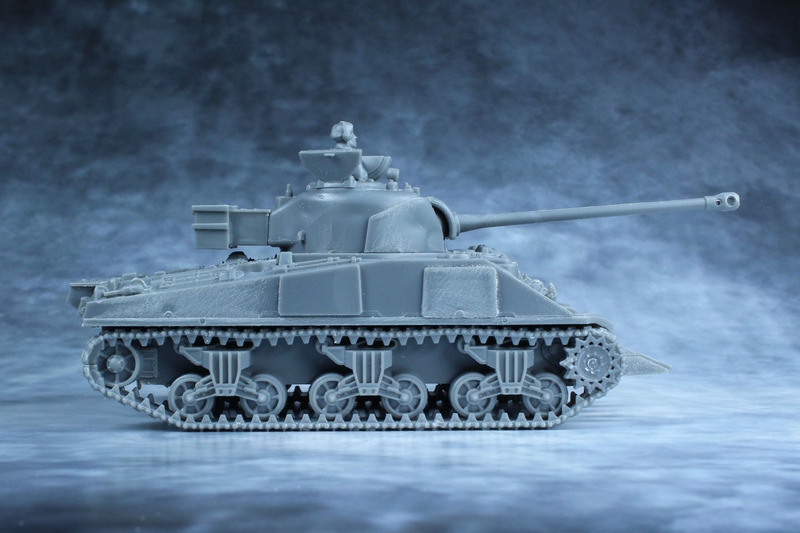 The price is reasonable and you get a good quality of fit and casting with this tank. 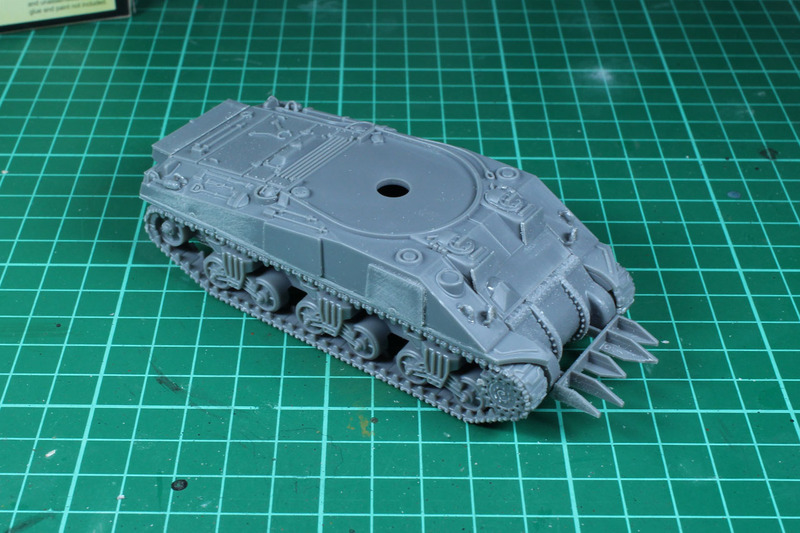 Building the direct Warlord Games vehicles is fun, it reminds me of the times when I build the Mk2 Rhino, as the parts are less nimble and assembly goes faster compared to the Italeri kits. 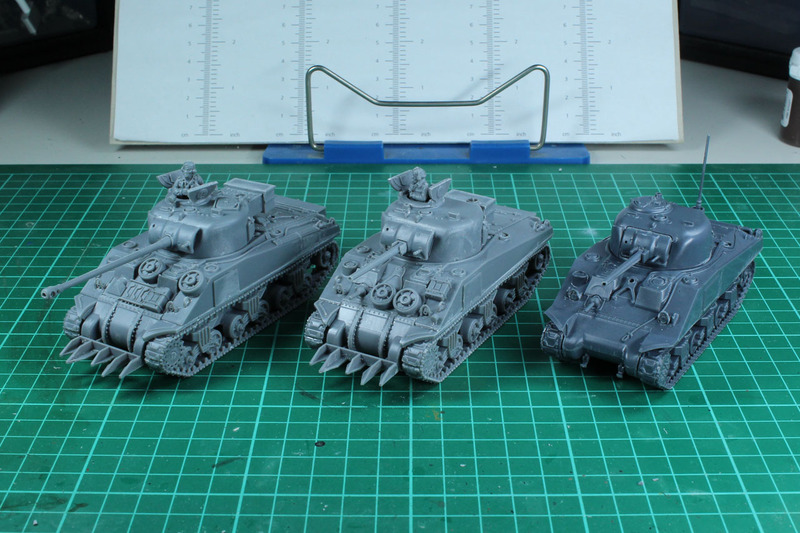 If you want to save some bucks and are looking for a platoon anyway, go for the platoon of 3 shermans (2 V and 1 VC), as the box saves you 10 GBP compared to buying them individually. Fireflys are a proper choice for any british army that was involved in the late war conflicts of Europe, as they were used in France, Belgium, the Netherlands and Italy. 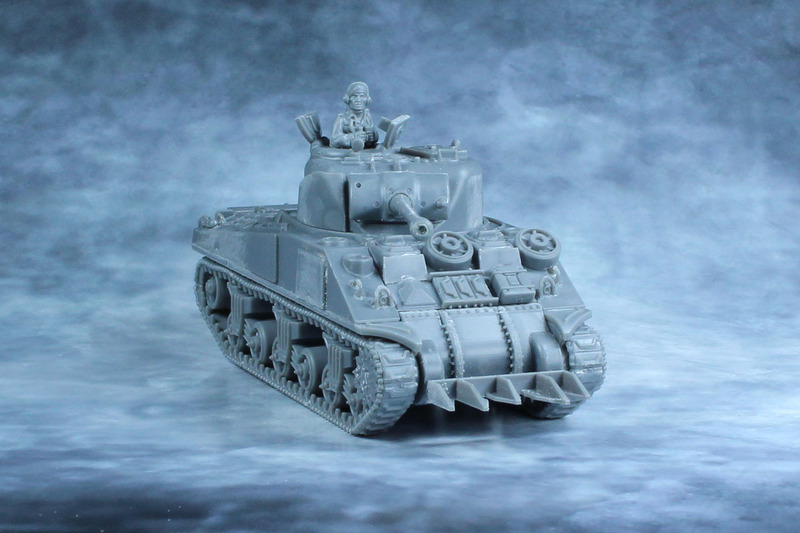 The polish 1st Armoured Division used them in Northwestern Europe and Italy as well. After the war in 1949 16 Fireflys were sold by Italy to Libanon and two were passed on to a militia in 1976.